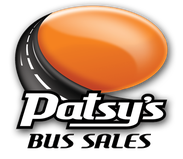 For over 50 years, Patsy’s Bus Sales has been a top quality bus provider, as well as the most qualified source for accurate information in the transit field. Whether you need a single private bus to meet the demands of transporting people or a transit director running a fleet of buses, we are your source. When you’re looking for a bus for sale or a bus for rent – call us! Browse our inventory of new & used buses. Review details, view photos, see specifications, request information and more. Available to summer camps, outdoor adventure programs, or anyone with seasonal needs for passenger transportation. Patsy's Auto Body has the state of the art technology to tackle most any job, large or small.